Plans to have Washington commit to 100 percent clean electricity by 2045 passed a major hurdle today after the state Senate passed Senate Bill 5116 by a vote of 28-19 with two excused. The measure now moves to the House. Senators took to the floor to voice both strong support for and strong qualms about the measure Friday, March 1, with the division nearly perfectly falling down party lines. Under the measure, utilities would have to switch away from all coal-fired power by Dec. 31, 2025, which would accelerate current plans for utilities like Puget Sound Energy and Avista. They plan to be at least financially ready to stop using the Colstrip coal-fired power plant in Montana by 2027. Several Republicans from districts near Spokane voiced concerns about the measure, including Sens. Shelly Short (R-Addy) and Mark Schoesler (R-Ritzville), who both mentioned their worries about how and whether the legislation will protect poorer communities from large price increases in their utilities. Sen. Doug Ericksen (R-Ferndale) pointed to Washington's already largely clean energy portfolio as a reason the bill wasn't needed. 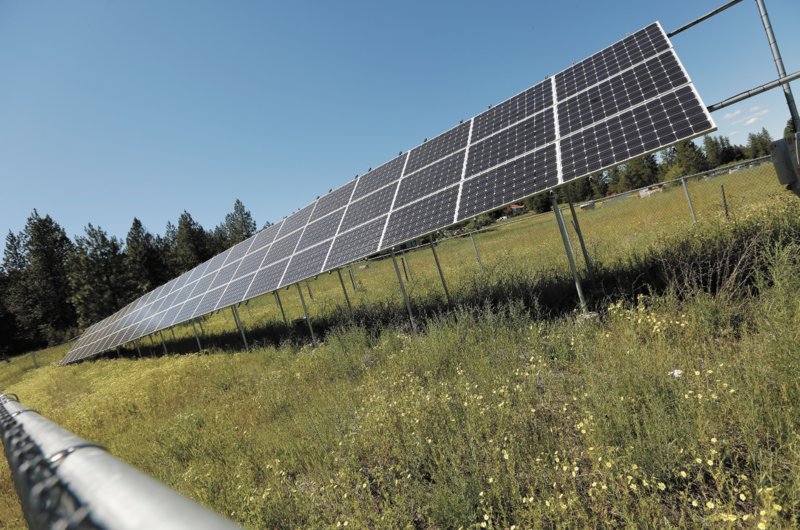 "Washington state has one of the cleanest grid systems in the world, and we should be proud of that," Ericksen said on the Senate floor. "So there’s no reason to punish us by raising our energy costs artificially." Democrats, meanwhile, lauded the measure as forward-thinking and protective in nature, both for those who are low-income and those future generations who could face the most serious impacts from a climate rapidly changing due to human influences. It's part of a larger package of climate-focused bills they hope to pass this session. "It's simply time to move past the era of carbon into the next generation with modern, 21st-century energy systems using integrated wind, hydro and solar power," said prime sponsor Sen. Reuven Carlyle (D-Seattle). "I'm proud that this is the strongest 100 percent clean energy bill adopted in the nation, and we thank Hawaii and California for paving the way. Now, it's up to the other states to follow our lead." The measure is supported by a wide variety of organizations, including medical professionals, labor unions, communities of color, environmental organizations, and a fair number of large businesses that have committed to 100 percent clean energy, like REI, Starbucks and Microsoft, climate-focused organization Climate Solutions notes. "Communities on the front lines of climate change need clean energy as much as they need to keep the lights on,” said David Mendoza, Legislative & Government Affairs director of Front and Centered, a coalition of more than 60 organizations rooted in communities of color, in a press release after the Senate vote. “We are proud that the 100 percent clean electricity bill has one of the strongest equity provisions we've seen in environmental policy within the Legislature. By requiring all electric utilities to provide assistance to low-income households, including discounted rates and energy conservation, we are leading the way on clean energy through a just, effective transition." Regarding concerns that power costs could skyrocket, environmental groups say Washington need only look to the recent past to see it's unlikely that would be the case. In 2006, voters passed Initiative 937, requiring utilities to invest in energy saving measures and get 15 percent of their electricity from renewables by 2020. An analysis by the Washington Policy Center and Beacon Hill Institute in 2013 warned that the state could lose thousands of jobs and utility ratepayers could be paying $1 billion more per year by 2020 due to the measure, but the Northwest Energy Coalition points out that by 2017, the actual figures showed costs to ratepayers had only increased $182 million per year (adjusted for inflation and population). Thousands of clean energy jobs have been added to the state since the measure passed. If other factors like infrastructure upgrades and declining sales of power to other states were factored in, the numbers might show costs actually decreased under the measure, the coalition noted in November. Largely due to other factors, industrial and commercial electric rates did actually decrease from the time the measure passed to 2017. "Frankly if you were to look at the totality of costs, it's extremely likely I-937 may not have increased costs at all," says Sean O'Leary, communications director for the Northwest Energy Coalition. "That’s partly evidenced by the fact ... when this whole gig started back in 2006, we had the seventh lowest electric rate in the nation. By 2014, we had the lowest, and now we’re currently the second lowest." Knowing that, the coalition — which includes some regional utilities, tribes and environmental organizations — was fine with a recent amendment to the Senate bill that capped the increases from the 100 percent clean energy plan to no more 2 percent per year, O'Leary says. "The reason we were wiling to give on the cost cap provision is we think the chances are very slight that anyone is going to encounter it and encounter it very often," O'Leary says. "I do want to make a real clear distinction here — there are many reasons why costs and rates can go up from year to year that, again, have nothing to do with this bill or this requirement." So it's worth noting, he says, that the cap ensures the bill wouldn't go up by more than 2 percent per year due to this measure in particular, but a utility could still increase prices for other reasons. The bill is scheduled for a public hearing at 8 am on Tuesday, March 5, in the House Committee on Environment & Energy.